"Behold, the Lamb of God, who takes away the sin of the world!" 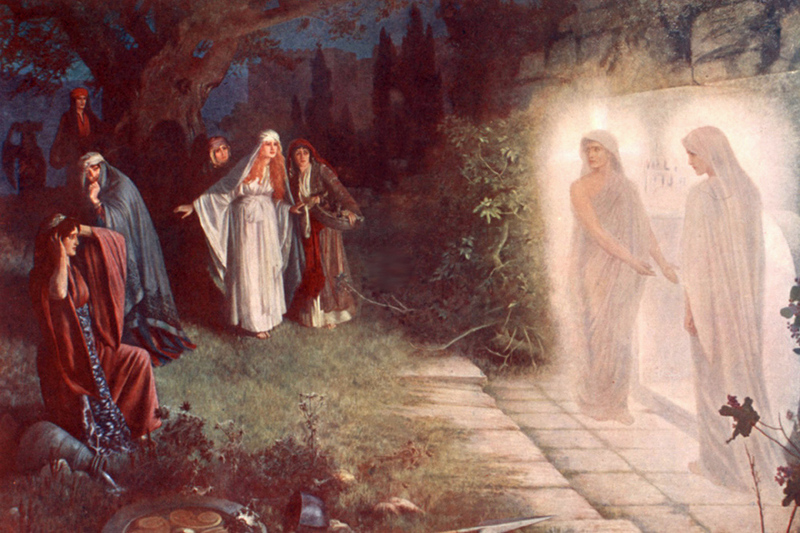 Our Lord and Savior Jesus Christ entered time and history through the Incarnation. "The Word became flesh and dwelt among us, full of grace and truth" (John 1:14). 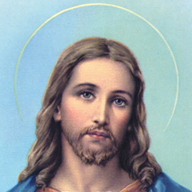 Jesus Christ, the eternal Son of God (Mark 1:1, I John 5:20), is a gift of love from the Father for the salvation of the world (John 3:16-17), the one who died for all of mankind, our "Savior, the Lord Jesus Christ" (Philippians 3:20). Jesus Christ, the Lamb of God, fulfills Old Testament prophecy. Yeshua, his very name in Hebrew, means "the Lord Saves." 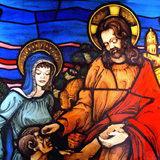 The Lamb of God recalls the Passover Lamb, whose blood was sprinkled on the houses of the Israelites to protect them during the Exodus from Egypt (Exodus 12). 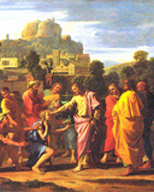 The Messiah as the suffering servant will give his life as an offering for sin (Isaiah 53). The Lamb anticipates the victorious Lamb of the Apocalypse (Revelation 5). In the Sermon on the Mount (Matthew 5-7), Jesus of Nazareth gave us the Beatitudes, affirmed the Ten Commandments of God, and taught us the prayer of hope, the Lord's Prayer, and the Golden Rule. Jesus promised the Apostles and his followers that "When I go I will prepare a place for you, I will come again and will take you to myself, that where I am you will be also" (John 14:3). God is love (I John 4:8)! The mystery of the Cross reveals the open arms of Christ Jesus. Jesus practiced what he preached: "This is my commandment: love one another as I love you. No one has greater love than this, to lay down his life for his friends" (John 15:12-13). The Church Fathers interpreted his open arms of prayer to reveal his obedience and glorification of his Father and at the same time reveal his love for all of mankind. 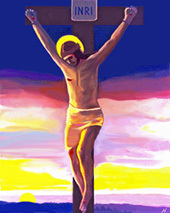 The figure of the Cross itself symbolizes union with both God and mankind through Jesus Christ: the vertical arm rises towards God in heaven and descends to the earth, and the horizontal arm embraces man both east and west. 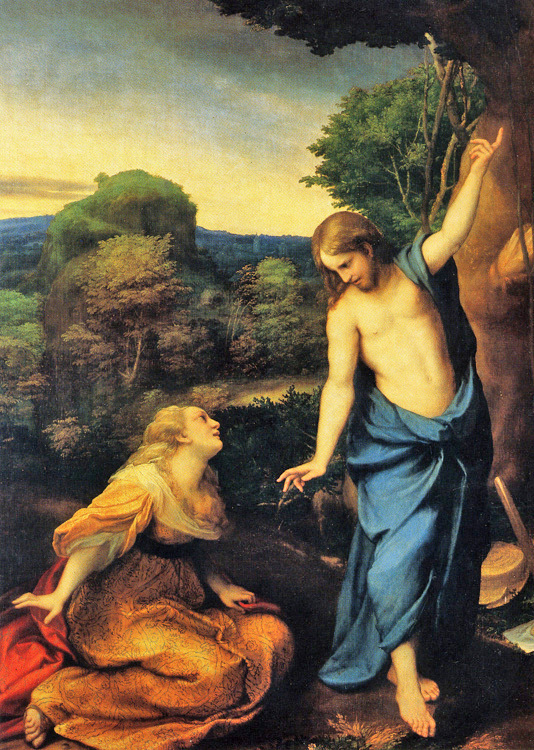 The Paschal mystery in the Gospel of John reveals Christ as the new Adam. "One of the soldiers thrust a lance into his side and immediately blood and water came out" (John 19:34). Eve came from the side of the first Adam. The open side of the new Adam is the beginning of the new definitive community of men with one another, a New Covenant in Christ, symbolized by water and blood, the sacraments of Baptism and the Eucharist, and through them the Church as the sign of the new community of mankind. Christ revealed to us the mystery of the Father, Son, and Holy Spirit, called the Holy Trinity in the Church. Following his Resurrection, Jesus gave his Apostles the Great Commission: "Go therefore and make disciples of all nations, baptizing them in the name of the Father and of the Son and of the Holy Spirit, and teaching them to obey everything that I have commanded you. And remember, I am with you always, to the end of the age." (Matthew 28:19-20). 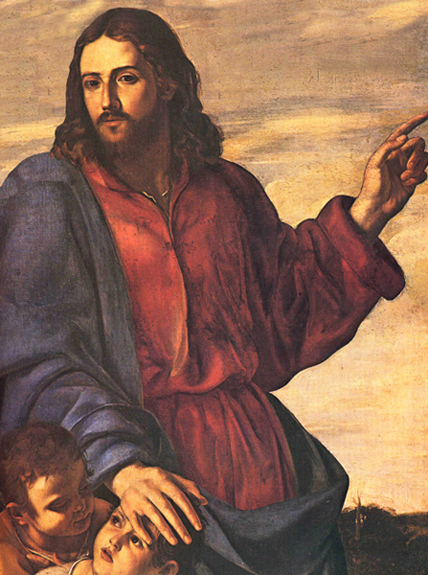 Jesus asked his Apostles: "Who do you say that I am?" It was Peter who answered, "You are the Christ, the son of the living God." Whereupon Jesus founded his Church (Matthew 16:15-19). The Lord actually identified himself with the Church in the Acts of the Apostles. Saul was persecuting the Church in Jerusalem, consenting to the death of the first martyr Stephen, and laid waste the Church, dragging off men and women and throwing them into prison (Acts 8:1-3). But while going to Damascus, Saul was struck from his horse by a great light, and a voice asked "Why do you persecute me?" Saul asked who spoke: "I am Jesus, whom you are persecuting" (Acts 9:4-5). Saul experienced the grace of Conversion, and Paul, as Apostle to the Gentiles, became just as passionate spreading the Christian faith as he was in persecuting the Church.